Speaking from experience, we can personally attest that instructor Amanda Holliday of Bouncing Bambini is a bubbly tour-de-force whose classes are so much fun that you don’t even realize you’re sweating until you notice your armpit stains. 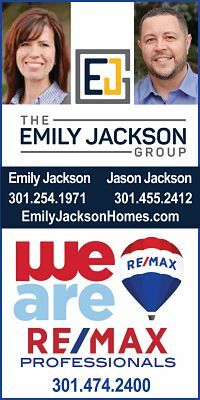 (Or maybe that’s just us. ) 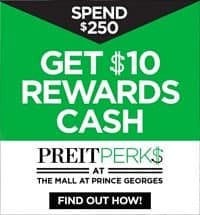 As shared in this post about her Strong Mama class, Amanda’s expertise as a prenatal and postnatal fitness specialist means that she can adjust the workouts to fit your body’s changing needs. 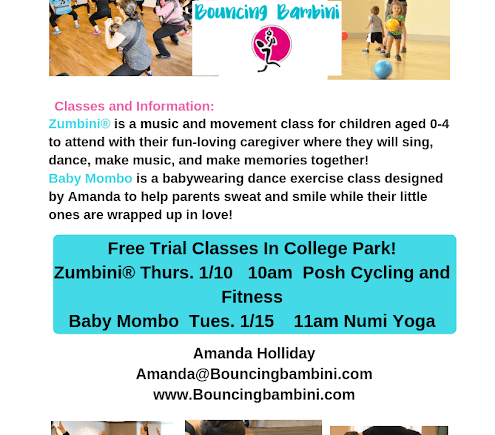 Baby Mombo Babywearing Dance Fitness in College Park! 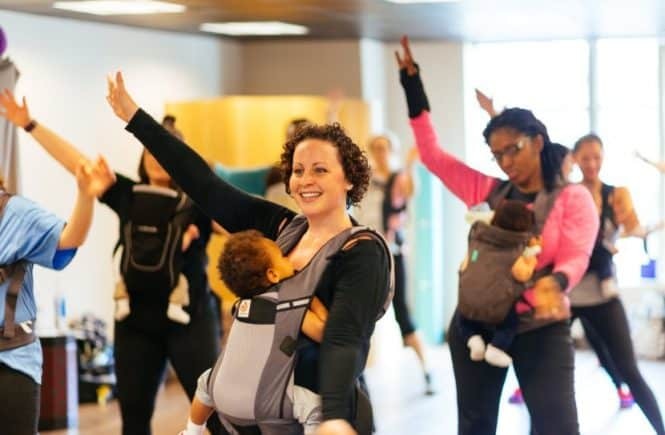 Amanda debuted Bouncing Bambini‘s Baby Mombo Babywearing Dance Fitness class at Numi Yoga in College Park earlier this year and it was soooo popular that she’s bringing it back this spring! 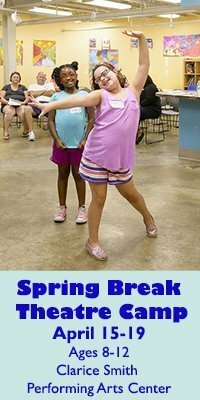 Spring sesion starts April 23rd! 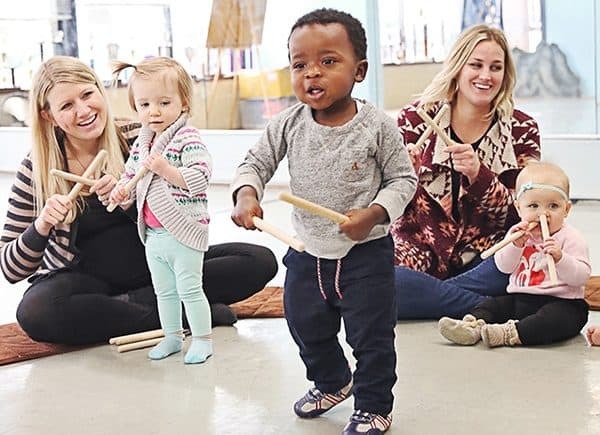 Register here for Baby Mombo today before all the spaces fill up! 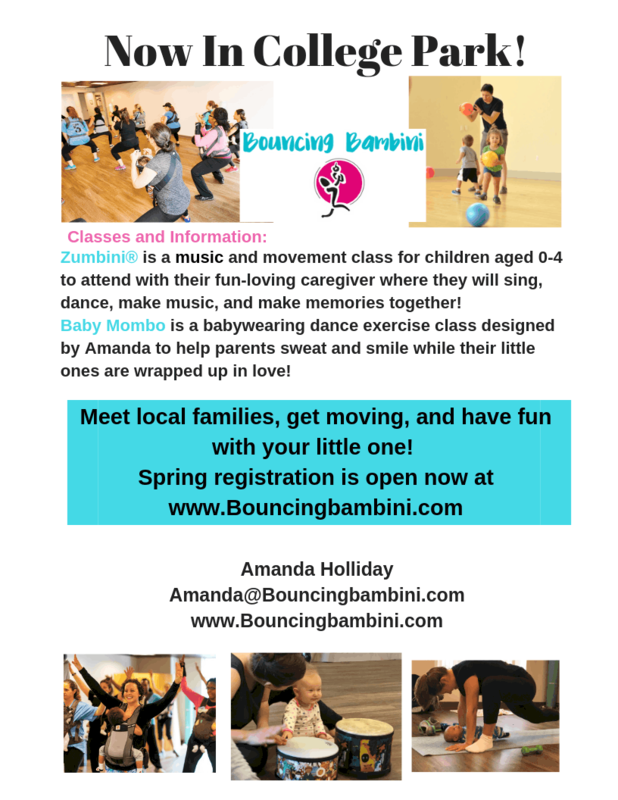 Thank you to Bouncing Bambini for sponsoring this post about your great music & movement classes! 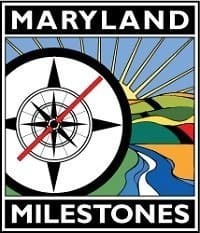 And thank you, dear Route One Fun readers, for supporting local businesses that support Route One Fun!. 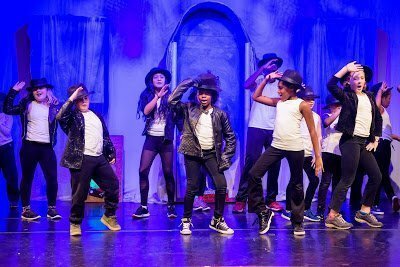 Creative Saturdays: Step, Drums, Art & Dance Classes for Kids Ages 6-12 at Joe’s Movement Emporium!